Once upon a time you were a healthy non-smoker who was fit, healthy and happy without needing or wanting to poison yourself with chemicals found in Cigarettes. I’ve helped hundreds of smokers in New Zealand to become smoke free with my Stop Smoking Cessation Programme. 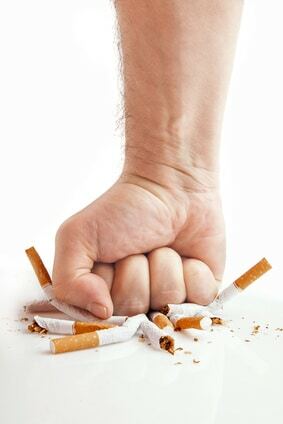 Often you can quit smoking in a one and a half hour hypnotherapy session. And finally, I will work with your sub-conscious mind where your beliefs and habits are housed (which affect your behaviours) to help you make the necessary changes to reach your goal to be happy, healthy and 100% smoke free. A one and a half hour hypnotherapy session is $150. To Find out more about the Stop Smoking Cessation Programme contact me now! In this 2 hour group session, I will provide you with the skills to quit smoking in a secure and confidential environment.